The basic rooms come with unfussy decor, flat-screen TVs and free Wi-Fi. Family rooms are available. A breakfast buffet is offered for an additional charge, and there's a 24/7 bar and a relaxed restaurant. Free parking is provided, and pets are welcome. The staff was friendly. When I first got to my room, I told the staff my A/C wasn't working. They told me I should give it an hour or so for my room to get cool. After a few hours on full blast, the room was still very hot and I could barely sleep (A/C, after all, wasn't working). After complaining again in the morning about the A/C, the staff moved me to a new room (at no extra charge) with a working A/C. The breakfast was really good! The location is terrible but bus comes every 20 mins. The hotel is very clean and the staff is friendly too. Cheap drinks at the lobby bar. Overall, it's a great hotel. Doesn't feel like an hostel so if you want to meet and hang out don't go there. The average age was more than 40! 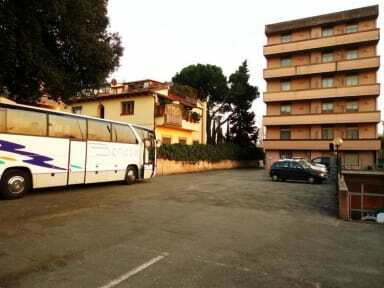 Far from the city centre but really easy to go there by bus (wich is not expensive) The room are clean and nice! Really quiet, perfect if you want to have a quiet evening and get good sleep! 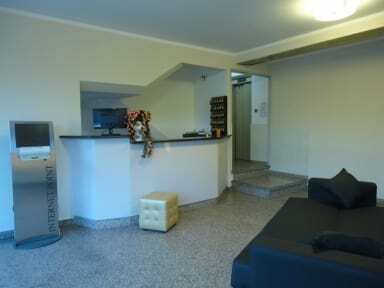 Basic accommodation at reasonable price for what it offers. My stay is was ok. I booked at last minute so I got what I paid for. Buffet breakfast was good. But walls were dirty In my room and shower was tiny. Wouldn’t recommend if you wanna be close to Florence city centre. Bought this hostel as a last minute place to stay from 0100 to 0400. Days 24 hour check in on the ad. When I arrived, the guy said it wasn’t 24 check in and there was check in from 7am to 8pm or something. Checked into my room, which was normal for the price. Went to go check out at 0400 and nobody was there, so had to leave a note and my keys.